Like the colours in this and the composition is almost graphic. Is this straight forward or has there been some pp. That's an interesting old looking door. Is Castlemaine the place from the XXXX beers comes from? A very good subject, I'm always attracted to the peeling and the faded. Very nicely processed and presented, too. Thank you l, John. Bit of contrast boost to bring out the texture as the light was not in my favour. Me too & thank you for the comments. What a good question cos it was one I couldn’t answer...... so I looked it up. 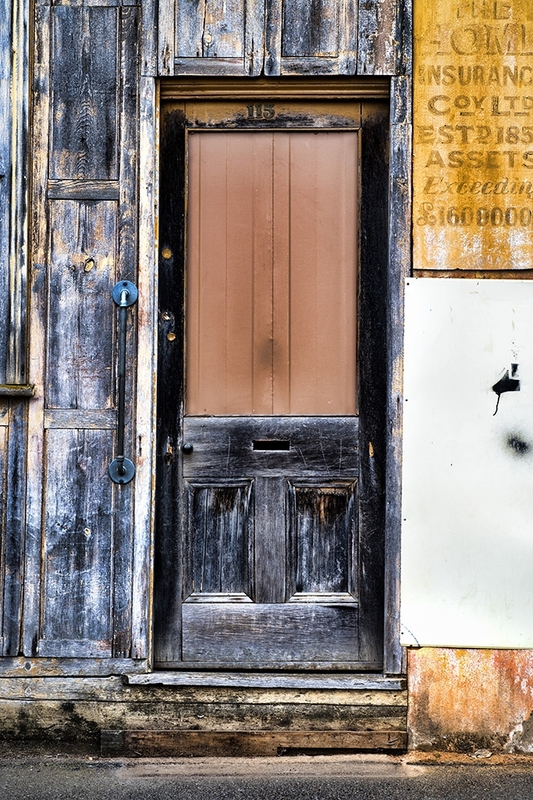 Now I can share that the XXXX brand was launched in 1924 by Castlemaine Brewers, named after the town of Castlemaine, Victoria where the company was born in 1857 which is where I took the photo of the door. It’s an old gold mining town with lots of Victorian architecture. XXXX has always been brewed in the Castlemaine Perkins MiltonBrewery in Queensland. Don’t know why. Queenslanders love their XXXX while Victorians, where I live, have traditionally drunk beers brewed here like Fosters Lager & Victoria Bitter.